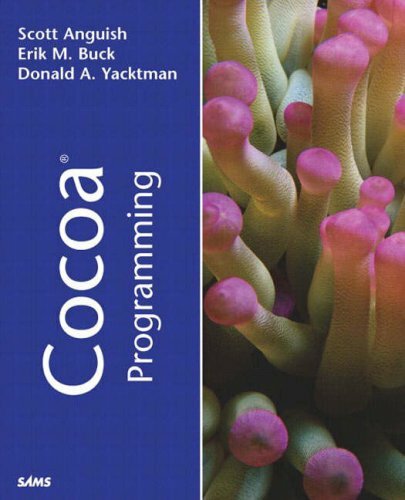 Cocoa Programming is a comprehensive work that starts as a fast-paced introduction to the OS architecture and the Cocoa language for programmers new to the environment. The more advanced sections of the book will show the reader how to create Cocoa applications using Objective-C, to modify the views, integrate multimedia, and access networks. The final sections explain how to extend system applications and development tools in order to create your own frameworks. Erik M. Buck is president of EMB & Associates, Inc., which specializes in commercial avionics and entertainment software development. He has developed industry-leading applications using the technology that evolved in Cocoa since 1989. Buck is a frequent contributor to technical mailing lists and has written many articles for the premier Cocoa developer resource on the net, www.stepwise.com. Donald A. Yacktman has been using Cocoa and its predecessor technologies, OpenStep and NextStep, professionally since 1991. He is currently the vice president of Development at illumineX, and independent software vendor of Cocoa-based Mac OS X software and a WebObjects consulting firm. Yacktman is a member of the Stepwise editorial staff and the principal contributor to the MiscKit, a premier source of information and reusable software for the OpenStep and Cocoa communities. Yacktman has been programming professionally since 1981. Scott Anguish started developing for the Macintosh in 1984. Upon seeing the NeXT development environment in 1992 he was hooked on the possibilities of a unified imaging model and a pure object-oriented system. In 1994, after several years of NeXT development, he created Stepwise, a portal for information related to NeXT technologies. Today, Stepwise serves as a hub for Apple's Mac OS X technology platform, as well as Cocoa and WebObjects development. Anguish uses Cocoa and WebObjects to build better technology for higher education at the Center for Educational Technology in Middlebury College.